The Chinese New Year continues through February 11 and so do festivities, including family friendly activities at China Institute, Flushing Town Hall, and the Metropolitan Museum of Art. 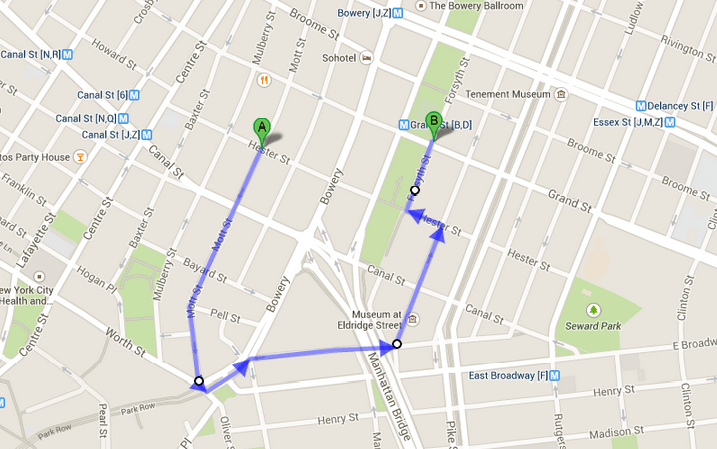 The annual parade in Chinatown is this Sunday. This weekend is your last chance to let your eyes wander through Hai-Hsin Huang’s drawing of the Great Hall at the Metropolitan Museum of Art and Tao Xian’s glitchy paintings at Gallery 456. 1) Traces of an Invisible City and The Wangs – Presented in conjunction with Tales of Our Time, this film program features documentary and narrative works that explore topics shared with the exhibition, investigating concepts such as boundaries, territory, migration, and place. Traces of an Invisible City (2016) presents urban space in Hong Kong as a vivid showcase of the hidden logics of globalization and capitalism, and of the historical changes currently occurring in world cities. The film contains three chapters that are parallel to but interwoven with each other: global, local, and border space. It examines a series of urban landscapes in Hong Kong to illustrate the tension among their visual existence, function, and ownership, and how the city’s public space has been constructed, used, owned, and interpreted. What does a name signify? The Wangs (2016) follows the 12th World Wang Clan Convention, an assembly of the most common surname of ethnic Chinese, to see how such a tie and community are perceived and imagined, and how meaning can be generated from banality. 2) From Harlem to Shanghai and Back – Min Xiao-Fen’s Blue Pipa Trio presents interpretations of music from Shanghai’s jazz age. Collected from the many regions of China, Ms. Min’s compositions are inspired by Chinese folk, regional operas and Taoist music. The pipa master/vocalist/composer from Nanjing and her trio perform her thrilling project From Harlem to Shanghai and Back, which reinterprets the work of legendary jazz trumpeter and composer Buck Clayton, Chinese composer Li Jinhui, Count Basie and Duke Ellington. The result is a bold cutting-edge Chinese fusion that transcends time and borders. Buck Clayton was a leading member of Count Basie’s Old Testament Orchestra. He brought Kansas City Swing to Shanghai in the mid-1930s and worked closely with the father of Chinese popular music Li Jinhui, who contributed hundreds of songs to the Chinese musical canon. Clayton is credited for helping close the gap between American jazz and traditional Chinese music. His effect on Li’s music helped ushered in a brief era of “Chinese jazz” and helped change musical history. 3) Dumpling Making Workshop – Why are dumplings eaten during Lunar New Year? Join Joanna C. Lee and Ken Smith (co-authors of the Pocket Chinese Almanac) in celebrating The Year of the Rooster by making, cooking, and eating Chinese dumplings! Learn the craft of wrapping and cooking both dumplings and wontons while Joanna and Ken share a range of tips and tricks for having a fortuitous and auspicious new year. 4) 18th Annual New York City Lunar New Year Parade & Festival – Join the festivities of the Chinatown Lunar New Year Parade, a NYC institution and stroll around the neighborhood afterwards. 5) Chinese New Year Celebration at China Institute – Kick off the Year of the Rooster with China Institute’s signature New Year Celebration. In the afternoon, we open our doors to families for New Year-themed workshops and activities including dumpling making, storytelling, and lantern-making. Attendees can also learn about our language classes and summer camp. In the evening, adults and families alike are welcome to a party featuring a lion dance, food, and live music by pop band Mr. Cake, beatboxer SungBeats, Kohei (MC), and TiA. 6) Brooklyn Jazz Wide Open Presents Solo + Duo + Trio = 5 – Min Xiao-Fen performs her solo project Mao, Monk and Me and duet Dim Sum with Satoshi Takeishi. The performance is followed by a set by WORKS trio who is then joined by Min and Takeishi for a quintet finale. 7) Lunar New Year Festival: Year of the Rooster at the Met – The Metropolitan Museum of Art hosts Lunar New Year festivities with Sesame Street puppeteers, a Chinese opera performance by Qian Yi, lion dancing, Balinese music, Music from China Youth Orchestra, traditional music performance by Mingmei Yip, arts and crafts, storytelling, gallery chats, and hand-pulled noodle demonstrations. 8) Rooster Shadow Puppet Workshop – Associated with the sun and with the element of fire in 2017, the rooster’s bright feathers and resonant crowing announce the arrival of a dynamic new period. Participants of all ages will use stiff paper stock and a variety of materials to create their own roosters inspired by Chinese shadow puppet techniques. 9) Curators in Conversation: C. Spencer Yeh – Join this conversation with C. Spencer Yeh, moderated by MOCA Assistant Curator, Andrew Rebatta. C. Spencer Yeh is recognized for his interdisciplinary activities and collaborations as an artist, improviser, and composer, as well as his music project Burning Star Core. He has recently presented work at the Museum of Modern Art, NY; Walker Art Center, MN; the Kitchen, NY; Whitney Museum of American Art, NY; and the Renaissance Society, IL. In 2015, Yeh was an Artist-in-Residence at ISSUE Project Room, NY, and was included in the performance program for the Greater New York exhibition at MoMA PS1. Yeh also volunteers as a programmer and trailer editor for Spectacle Theater, Brooklyn, NY. His video works are distributed by Electronic Arts Intermix. He is also a contributing editor to Triple Canopy and BOMB magazine, as well as contributing to The Third Rail and Personal Best. 10) Performance and Panel Discussion: Incident at Hidden Temple – With his new play Incident at Hidden Temple, playwright Damon Chua builds on the success of his earlier work focusing on China in the 1940s with a narrative inspired by real events. Using the historic Flying Tigers squadron as the setting, and the key presence of Generalissimo Chiang Kai-shek, the play throws open a window into the critical role played by American pilots in China during World War II. The mystery hinges upon three Chinese women – two sisters separated by wartime chaos, and the third who unwittingly crosses their paths. China Institute and Pan Asian Repertory Theatre presents a post-show panel discussion on the play’s historical setting moderated by Ernabel Demillo and featuring Incident at Hidden Temple writer Damon Chua alongside historical specialists Richard Bernstein and Gene Chin. 1) Journey to the West: The Demons Strike Back 《西遊伏妖篇》 – After killing Miss Duan in the last story, Monkey King is now tamed by Tang Sanzang and has become one of his disciples. Tang continues his journey to the West with Monkey King, Sandy and Pigsy. They encounter and flight with many demons during their treacherous journey. These demon battles enable them to grow and learn how to become a better person. Tsui Hark’s sequel to Stephen Chow’s Journey to the West: Conquering the Demons was the top grossing film in China in the first weekend of the Chinese New Year. The Hollywood Reporter says the film is undemanding but notes Tsui and Chow’s imaginative treatment of classic Chinese stories. Opens at AMC Empire 25 February 3. 2) Kung Fu Yoga 《功夫瑜伽》 – Jack (Jackie Chan), a world-renowned archaeology professor, and his team are on a grand quest to locate a lost ancient Indian treasure when they are ambushed by a team of mercenaries and left for dead. Using his vast knowledge of history and kung fu, Jack leads his team on a fast-paced race around the world to beat the mercenaries to the treasure and save an ancient culture in this hilarious, breakneck action-comedy that reunites Chan with acclaimed director Stanley Tong (Rumble in the Bronx, Supercop). The film is one of three Chinese-Indian projects commissioned during Xi Jinping’s visit to India in 2015. 3) Behemoth 《悲兮魔兽》 – Zhao Liang (Petition) is at the forefront of a generation of fearless mainland Chinese documentarians, braving censorship and worse to tell the story of their country’s hyperspeed “progress.” His latest, shot in coal mines in Inner Mongolia, is a mythic-realist film of harrowing close-up and infernal long shots that beggar belief, evoking both Dante and Bosch en route to a haunting climax in an ultramodern pre-fab labyrinth. 4) Eternal Bruce Lee – This series features all five films Lee starred in at his prime. It includes the North American premieres of new 4k restorations of The Big Boss (1971), Fist of Fury (1972), The Way of the Dragon (1972), and Game of Death (1978). Enter the Dragon(1973) is also featured, in a weeklong run. 5) Made in China – From the creative talents behind the highly-regarded Baby Universe: A Puppet Odyssey comes a new darkly comedic puppet musical. Inspired by true events, Made In China is a fantastical exploration of human rights, consumerism, and morality as told through the unlikely love story between an odd middle-aged American woman and her Chinese ex-pat neighbor. Made In China features 30 puppets, seven puppeteers, music inspired by both American and Chinese traditions, and animated video. The musical is a New York Times Critic’s Pick. 6) Incident at Hidden Temple – Building on the success of 2015’s ‘Film Chinois’ by Damon Chua, an atmospheric mystery in the genre of film noir, ‘Incident at Hidden Temple’ will focus on China in the 40’s with a narrative inspired by real events. Using the historic Flying Tigers squadron as the setting, and the key presence of Generalissimo Chiang Kai-shek, the play throws open a window into the critical role played by American pilots in China during WWII. The mystery hinges upon three Chinese women – two sisters separated by wartime chaos, and the third who unwittingly crosses their paths. 1) Ho Sintung: Surfaced (Chambers Fine Arts (2/2 – 4/1) – Preferring to work on a small scale and favoring pencil and graphite on paper above other media, Hong Kong-based Ho Sintung gives visual expression to her passion for all aspects of the cinema, not only films themselves but the buildings in which they are shown, posters and other ephemera. 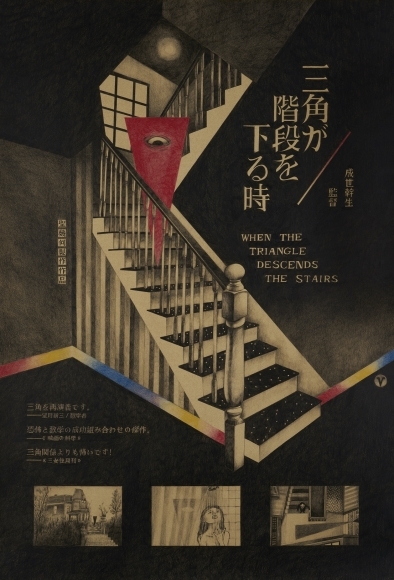 Although she has said that her favorite pastimes are “reading books and watching films,” her work also reveals her familiarity with a wide range of twentieth century visual art to which she refers in her tongue-in-cheek hommages to the “movies.” The title she has chosen for this exhibition Surfaced reflects both her literary and cinematic interests as this short story from Strange Stories from a Chinese Studio by the Qing dynasty author Pu Songling was the source of the hugely popular film Painted Skin and its sequel. 2) David Diao: HongKong Boyhood (Postmasters Gallery, 2/4 – 3/11) – Born in 1943 in Chengdu, China, David Diao is known for complex weaving of personal history with the history of modernist painting and design. He superimposes images and text on luscious, largely monochromatic surfaces. 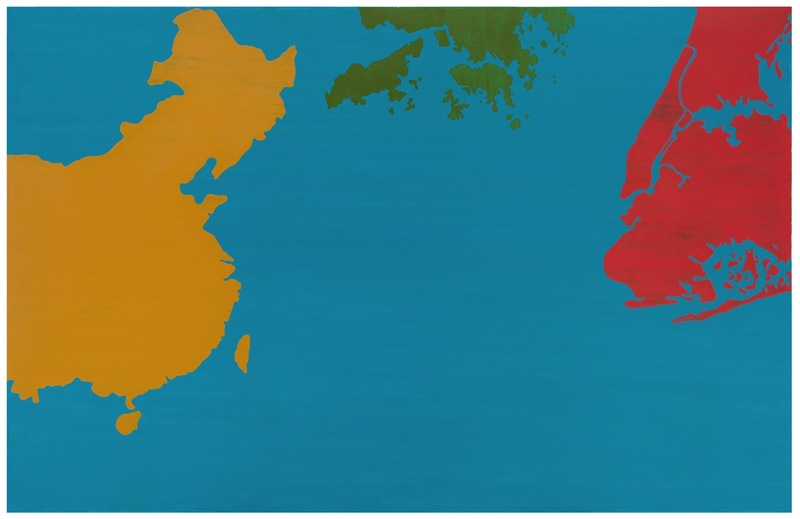 Diao’s paintings visualize data, both private and public, that maps his life’s trajectory from mainland China through Hong Kong to the United States and New York where he has lived since 1964. HongKong Boyhood (a tip of the hat to Walter Benjamin’s “Berliner Kindheit”) is about the five and a half years Diao spent there. “Events surrounding the loss of my home in China due to the Communist takeover has festered in my mind my entire life. Beginning in 2007, I finally painted some 30 works that zeroed in on this obsession. The resulting show was entitled, “I lived there until I was 6…” and consisted of paintings of maps, site and floor plans, deeds and other material evidence that the house actually existed. All photographs were lost. It was a harrowing escape from Chengdu to HongKong in late October 1949. David Diao – ‘Not To Scale 2’, 2016. Acrylic on canvas, 72 x 120 in. 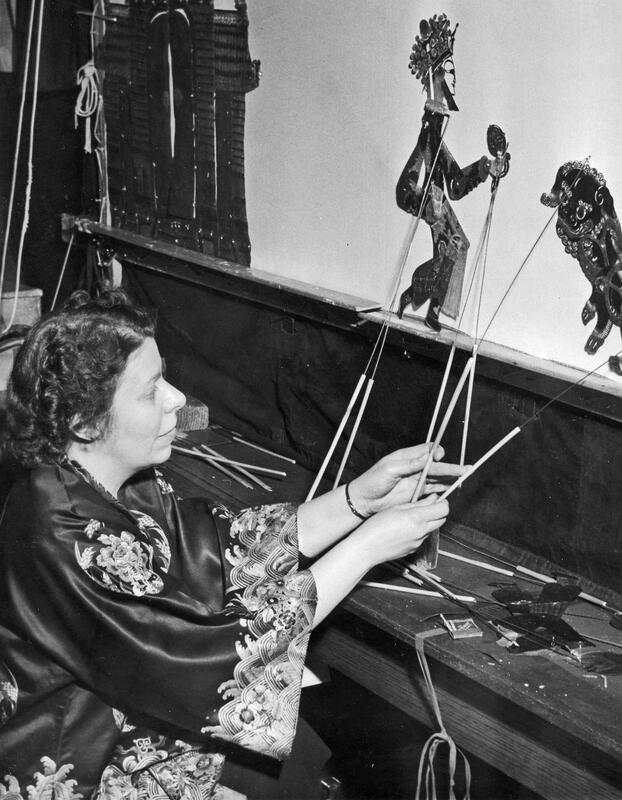 3) Pauline Benton and the Red Gate Exhibition (Flushing Town Hall, 2/3 – 2/26) – Pauline Benton’s Red Gate Theater was the first professional company to present Chinese shadow theater to American audiences. Curated by Stephen Kaplin and Chinese Theatre Works, the exhibition features a selection from the hundreds of rare Chinese shadow figures that Benton collected or commissioned on her frequent trips to China in the 1930’s, her touring shadow stage, as well as materials from the Red Gate archives.